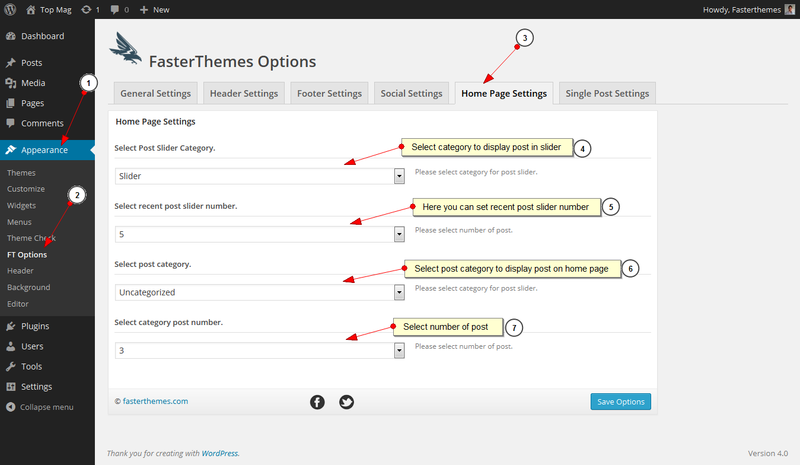 You can set general settings from Theme Options panel. You can choose theme color and Favicon. 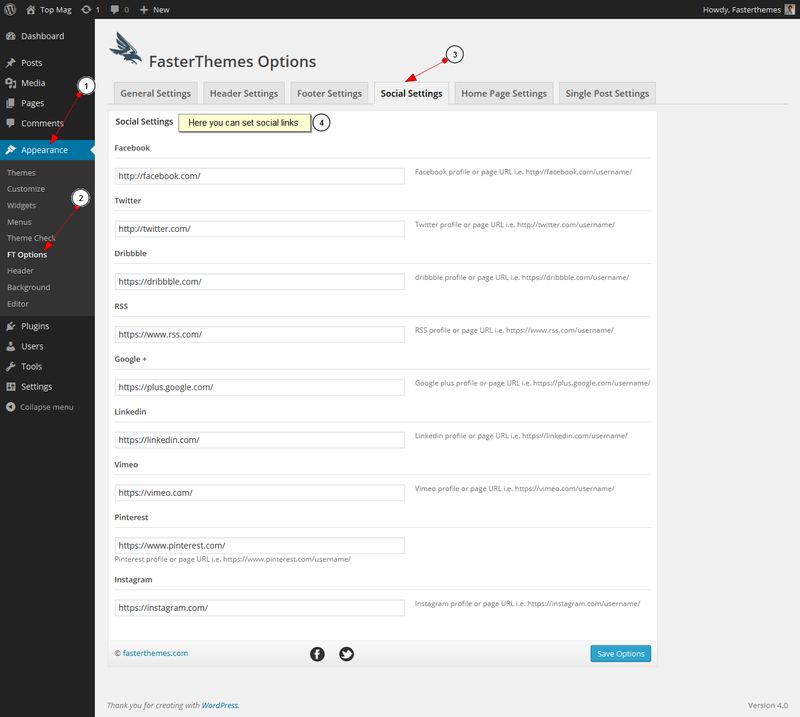 After selecting theme color you can check that in front end. Here you can see red color in front which is default color selected in the back end. From here you can set favicon of your website. 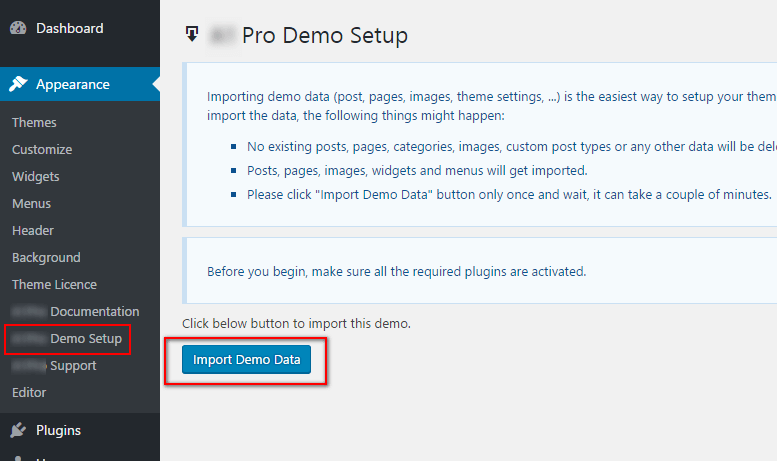 When you will set it then it will appear in frontend of your website. From here you can do settings of top banner. 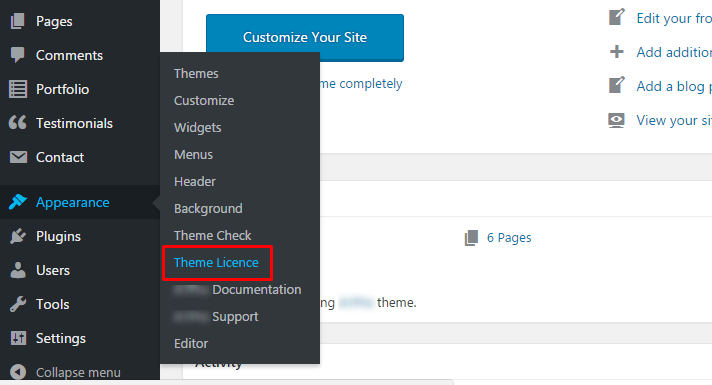 Once you set top banner from backend you can see it in front end besides your website logo. From here you can do settings for bottom banner. Once you set bottom banner from backend you can see it in front end. 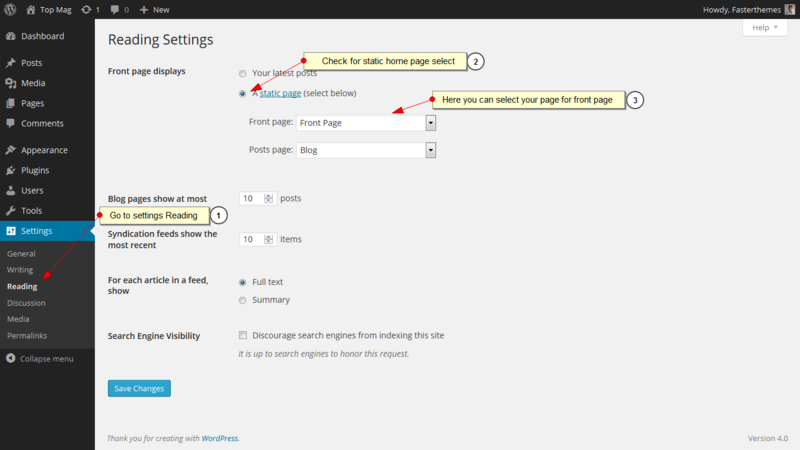 From here you can set header settings of your website. You can set website top header, current day and date in top header, social icons, breaking news, breaking news category, logo and tagline. 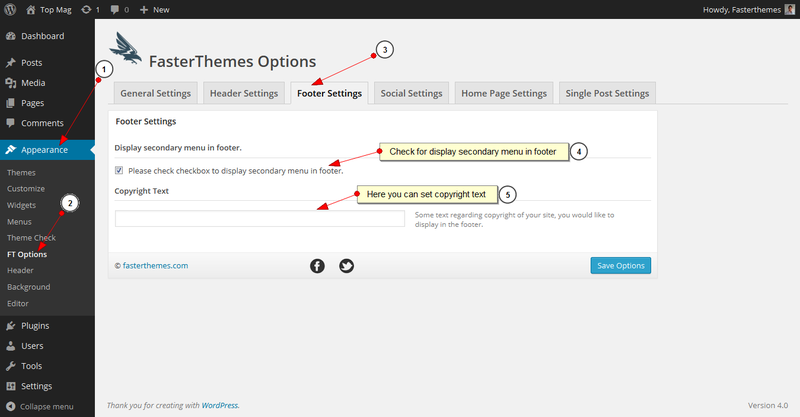 From here you can set footer elements of your website like changing copyright text. 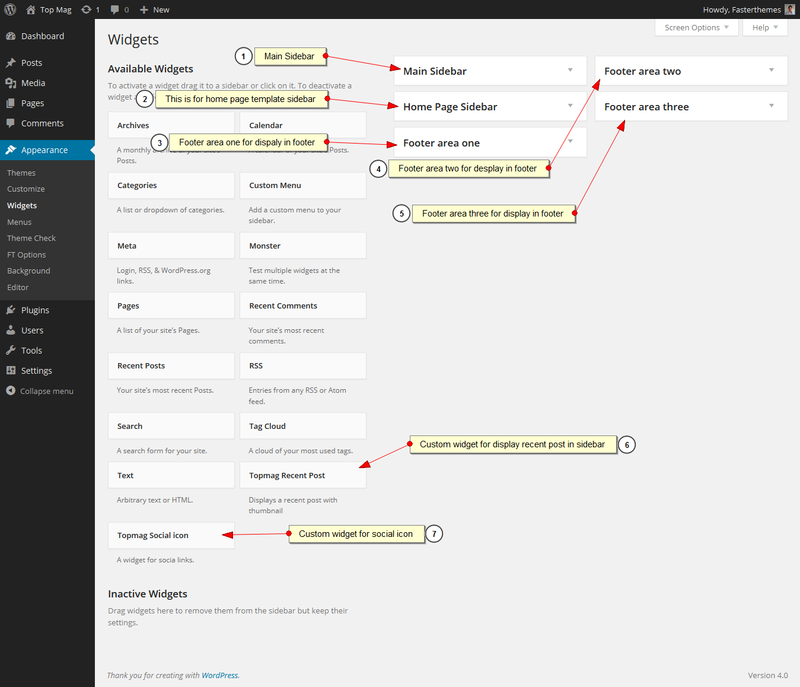 Also, if you want, you can set a secondary menu in the footer as well. In this part you can add links of your social media profiles like Facebook, Twitter, Dribbble, RSS, Google +, Linkedin, Vimeo, Pinterest and Instagram.After setting your social media links you can see them in right side in menu of frontend. 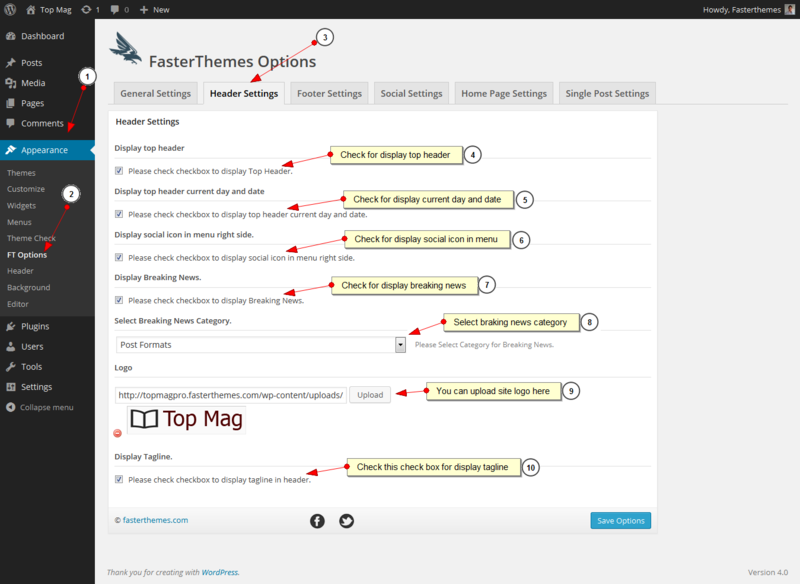 From here you can set your home page elements. 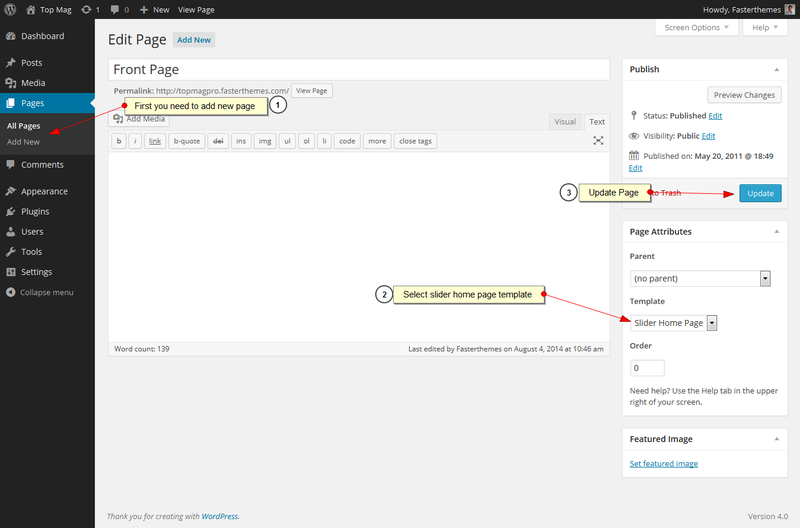 First you need to create a new page and then select ‘slider home page template’ after that you need to assign front page from settings -> reading then in FT Options, you can set website slider, recent post count and post category and post number to display. 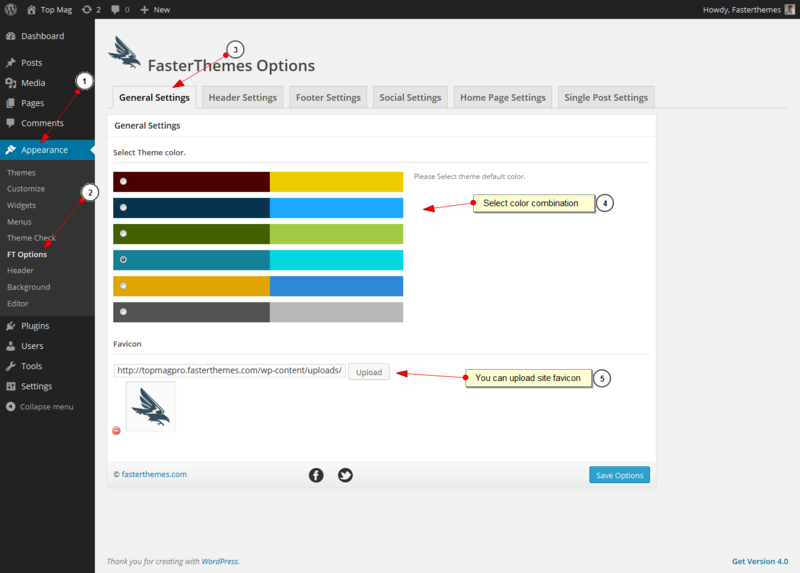 From here you can set single post settings of your website. You can display single post author details and recent article. From here you can set sidebar of your website.